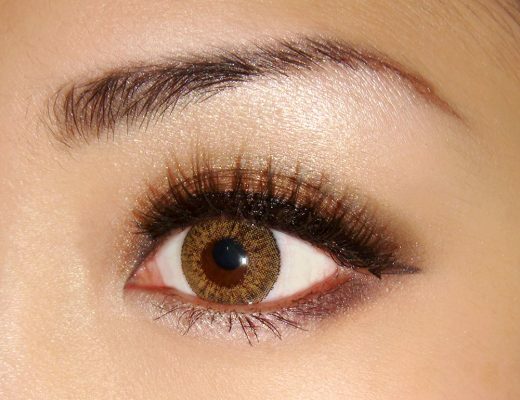 Looking for a way to REALLY make your eye makeup pop and last? Try foiling, a popular technique that involves applying eyeshadow wet to create a shiny, foil-like effect. 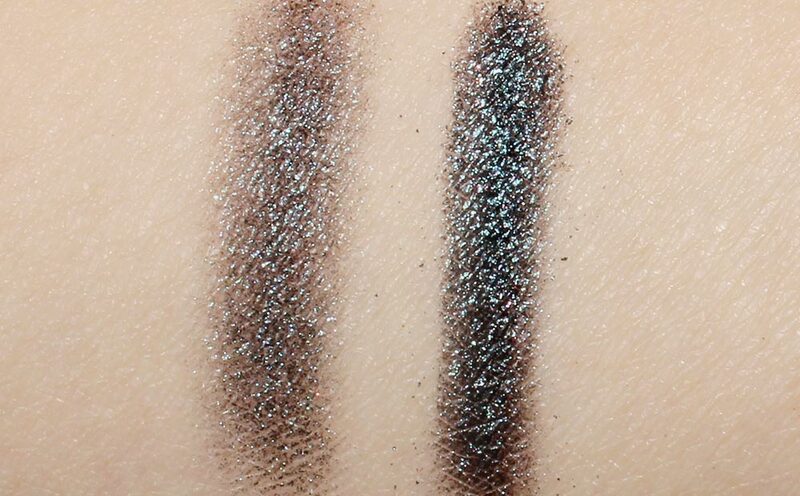 Before you foil, check to see if your eyeshadow can be used wet. Foiling a shadow that cannot be used wet will ruin its texture and leave behind a hard spot. All pigments and loose eyeshadows can be used wet. Step 1. Add a drop or two of mixing medium to your brush. I am a huge fan of MAC Water-based Mixing Medium but water, saline eye drops or even a makeup setting spray will work just as great. Make sure your brush is damp – not soaking wet. Step 2. 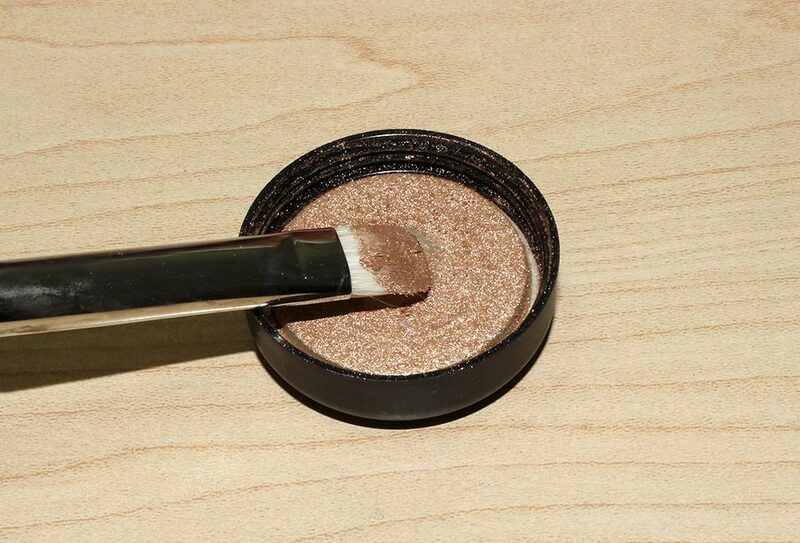 Dip the brush directly into the eyeshadow. If you are using a pigment or loose eyeshadow, pick up product that is stuck onto the inside of the lid to avoid getting too much product. Step 3. Tap off excess and apply directly onto the eyes in a patting motion. Repeat this step until you have achieved the intensity you want. Step 4. Once the color has dried off completely, blend off the edges. Feel free to add in other colors as desired. • Don’t own any pigments or shadows that can be used wet? Just wet the brush after you have dipped it into the shadow. • Foiling works under and over dry shadows. In the look above, I applied MAC Blonde’s Gold Pigment wet on the lid then blended MAC Sweet Sienna Pigment dry on the outer corner and up the crease before using MAC Deep Blue Green Pigment wet as a liner. This looks amazing…absolutely stunning! How long is the wear typically? Wow that is gorgeous! Is the Deep Blue Green Pigment layered over a black liner? Thanks Jeannie! I didn’t layer the pigment over anything but I did apply black liner in the inner rim of the eyes. I love this eye shadow on you Phyllis! How long did it take you to do? Thanks! It didn’t take long at all. Maybe 5-10 minutes max? Great tutorial! thanks for this! Thanks for the tips on foiling. I always wondered how you could get that great look! I like the color you used. Thanks for the tips and the great post. Have you tried the Graftobian mixing medium? It’s really fantastic and super inexpensive. Love this look! Dramatic but not over the top! This is amazing!! What eyeshadow do you recommend for foiling? Mainly MAC pigments? Hi Janice, you can foil with both loose and pressed eyeshadows. Just make sure your shadows can be used wet or you risk damaging the texture. This is great!!!! Can you use your fingers with eyedrops? If so how? You would apply it the same way – dampen the finger then pat directly onto skin.